Last Friday, I went with the Lehigh Racing club all the way up to Goodman to see some of the club members drive their Formula One Race Car! We all took rides up there and there were about forty of us who went to go see. As soon as I saw the car, I was completely amazed! I thought about how these guys were able to build such a powerful motor vehicle all by themselves with little or no supervision at all from a professor. These guys knew what they were doing and they sounded like professionals when they talked about the car. Half of the time, I had no idea as to what they were saying, but it was still a great way to get exposed to the club. 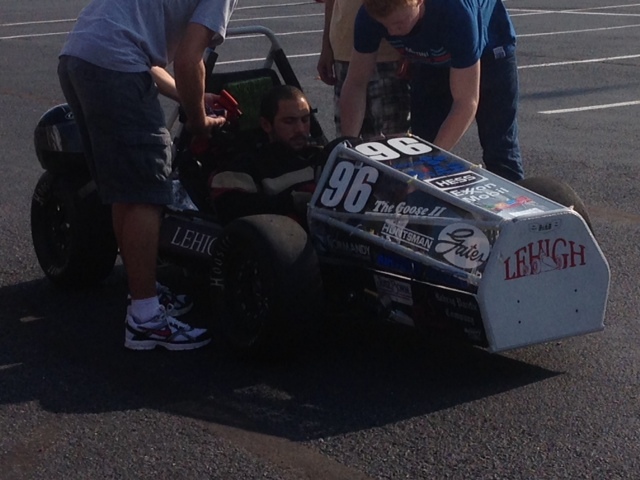 Lehigh Racing competes every year against 120 schools to see how well their car performs. 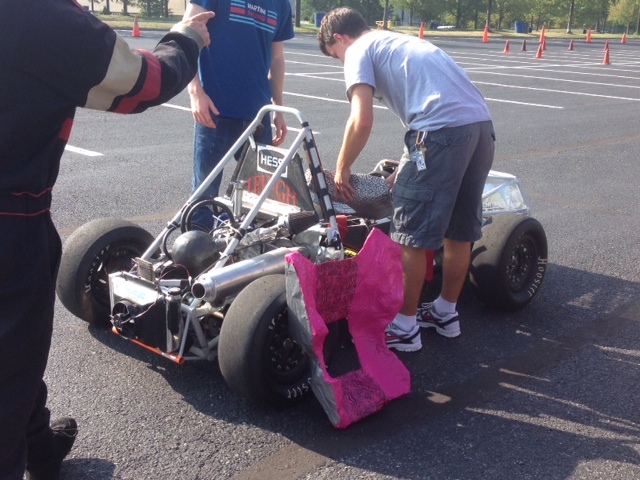 Things such as endurance and suspension are tested at the competition and the students drive the vehicle there too! That day was a pretty cool way to see how students get involved around campus to get experience in and out of the classroom. Here are some pics!